Ultimate Ninjas St. Louis is offering TWO lucky STL Mommy readers TWO Open GYM Ultimate Ninjas passes. To enter just fill out this form and the winners will be chosen at random at Noon on November 30th and notified by email. Youth from and around the St. Louis region will have the opportunity to train with nine competitors from the hit television show American Ninja Warriors. 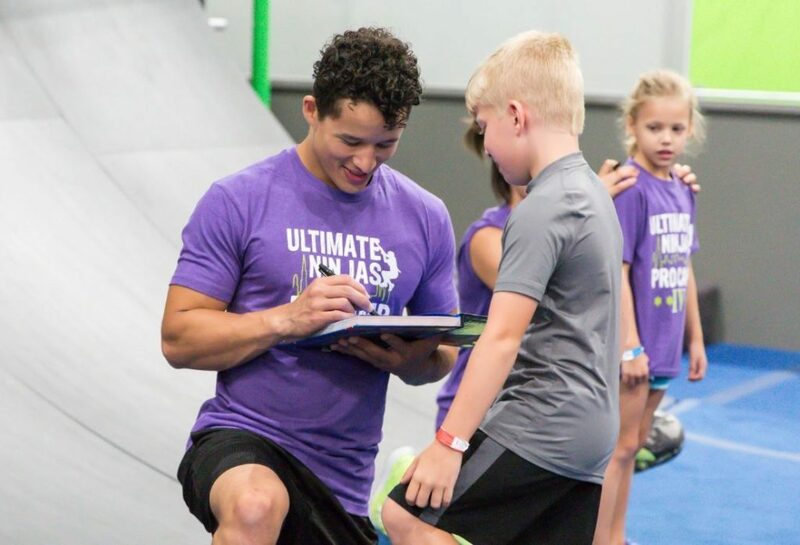 Ultimate Ninjas is hosting five sessions of Pro Camp on December 1st and 2nd at their brand-new location in Chesterfield, MO at 140 Long Road, Suite 130. Participants will receive 2.5 hours of training with some of the best ninjas in the world, watch ninjas take on the obstacles, get autographs and ask questions about the show.